Made Lumber prides itself on offering the highest quality materials, specializing in live edge, thick cut, sequentially matched lumber. Sequentially matched lumber offers the most options, as it can be used in a variety of ways or throughout an entire project, giving a certain harmony in colors and grain patterns. The most common uses are live edge table tops and counter tops. Everything is carefully sawn, treated and dried to yield solid, fine, highly usable wood. Our showroom is designed so it's easy to find just the right slab for you, rather than having to rummage through stacks and stacks of heavy material. We want the process to be fun and exciting, not mundane and labor intensive. Lastly, we want to keep our prices fair, to accommodate that “sweet spot” for each of us. It’s not just lumber here… Its MADE Lumber. The most beautiful wood from California and the Pacific Northwest. 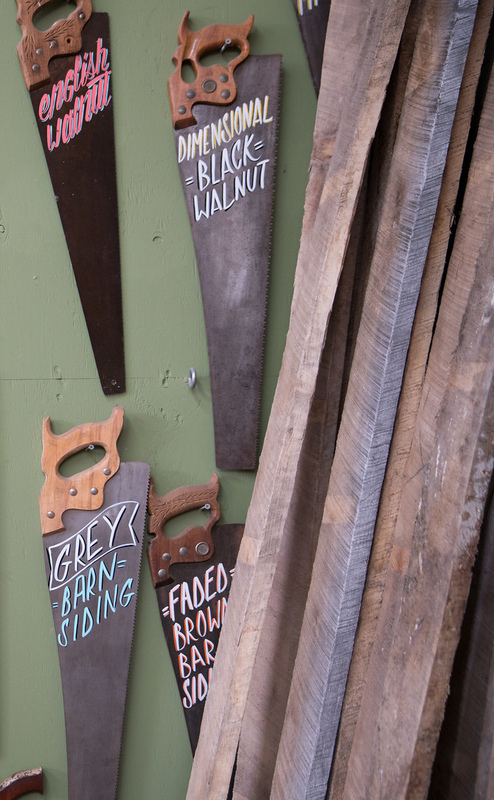 Made Lumber was created to supply the Southern California region with rare and beautiful woods of the West Coast. Our San Diego roots and network throughout the coast allow for access to the region's best live edge slabs and salvaged woods. Aged to perfection live edge slabs & custom made furniture.